James Shields held Cleveland to 1 run over 7 innings, walking none and earning the 5-1 decision for the White Sox. Mitch Haniger reached base 3 times, homered twice and led the Mariners past the Angels, 6-3. Chase Anderson threw 7 innings of 1 hit shutout ball as the Brewers blanked the Cubs, 4-0. Joc Pederson got 3 hits, including a homer, in the Dodgers 12-5 rout of the Rangers. Bartolo Colon took a perfect game into the 8th inning and finished with 7 2/3 innings, giving up 1 hit, 1 walk and 1 run while striking out 7 Astros. 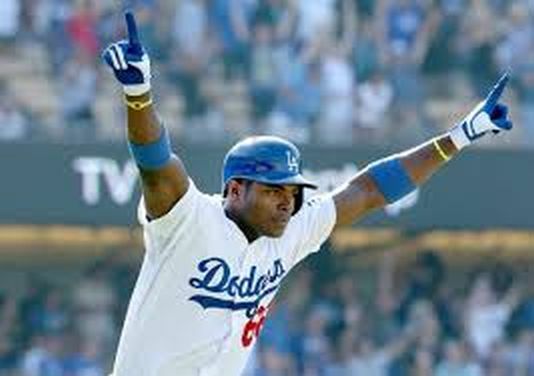 He would not get the decision but the Rangers prevailed in 10 innings, 3-1. Clayton Kershaw gave the Dodgers a much needed head to head win over Arizona with 7 innings of 2 hit ball, allowing 1 run and striking out 12 in the 7-2 final. Starling Marte went 5 for 5 with a homer and 4 runs scored as the red hot Pirates won again, 7-3 in Miami. Andrew Benintendi singled, doubled and tripled, driving in the tying run as Boston came from behind to beat Baltimore, 3-1. Jose Berrios threw 7 shutout innings, allowing 2 how while striking out 7 Diamondbacks as the Twins cruised to a 5-0 final. Rougned Odor reached base 3 times including a pair of homers, driving in 5 as the Rangers took a win 17-7 game from the White Sox. Travis Wood allowed 3 hits and no runs to earn the 3-1 decision for San Diego over Washington. Starling Marte got 3 hits, including a homer, drove in 2 and stole 2 bases to help the Pirates get past St. Louis, 6-4. Billy Beane was the king of the front offices just a few years ago, but a future loss of MLB Revenue Sharing and not being able to recoup 1st RD Draft picks by losing star players will hurt them even greater. The AL West also has 4 big market clubs residing it now, with Houston being a lot better than they were in 2013 and 2014 when they first joined the Division from the National League, This time frame was the best the A’s have seen of recent vintage. it will be a tough grind for Oakland to compete until a new stadium is built. Yesterday we talked about 6 teams that stand to gain an advantage under the new CBA, Today we explore the 6 teams that were hurt most. While the news of taxing the higher revenue generating teams will work to bridge the top teams to the mid – market revenue clubs. the abolishing of a 1st RD Draft Pick compensation pick being lost to franchises for having signed one of their Qualifying Offer rejected players will hurt many franchises. Kansas City, Pittsburgh, Oakland. Colorado, San Diego and Milwaukee all had days in my opinion. The Rays, Twins, Reds and Marlins are not too far from list either, however all of those organizations also are not good shape with the new pact either, however they are not as bad as the top 6 clubs. The Pirates were already thinking about trading Andrew McCutchen, and this should give a violent shove in that direction. It will also show that players such as Carlos Gonzalez, Sonny Gray, Charlie Blackmon, Starling Marte, Gregory Polanco, Gerrit Cole, Eric Hosmer, Mike Moustakas and Nolan Arenado will all be dealt before their Team Control expires. It is the new landscape of the CBA. I would hate the new CBA as these clubs. Rich Hill took a no hitter into the 6th and finished with 6 innings of 1 hit shutout ball as the Dodgers topped San Diego. Adonis Garcia reached base 3 times, including 2 homers and 3 runs scored as the Braves topped Philadelphia in 10 innings 7-4. Rick Porcello was perfect into the 6th and threw 7 strong innings, allowing 4 hits and 2 runs for his 19th victory for the Red Sox, 11-2 over Oakland. Mike Trout missed the cycle by a double, helping the Angels bombard the Mariners, 10-3. They all owned baseball on September 3, 2016. Tags: 2016, Adonis Garcia, baseball, Daily MVP's in NL and AL MLB 2016, evan gattis, Mike Trout, mlb, Paul Francis Sullivan, rich hill, rick porcello, starling marte, Sully Baseball, Vincent Velasquez, who owned baseball, Who Owned Baseball MLB 2016, Who owns baseball? P- Matt Moore (vs. Philadelphia Phillies): $8,400. Thursday is an absolutely brutal day for potential starting pitcher choices in daily fantasy. I decided to go with Matt Moore as he makes his debut for the San Francisco Giants. Over his last three starts with the Rays, he has a 2-1 record, 2.14 ERA, and 12 strikeouts. Over the last seven games, the Phillies have a .694 OPS, which is ranked 20th in baseball. They also rank 28th in OPS against left-handed pitchers this season, which is a great sign for Moore. If Moore can limit his walks, he could go very deep into this game. P- Nathan Eovaldi (vs. New York Mets): $7,300. Eovaldi had a terrible June, but he has been very sharp recently. Over his last six appearances, he has only allowed six runs. The New York Mets’ offense has been very lackluster this year, so hopefully Eovaldi shows more success. I would typically go with a more “for sure” option, but the pitching slate is very slim on Thursday. Jose Altuve went 4 for 5 with a homer and 3 RBI as Houston pounded Seattle, 8-1. Starling Marte reached base 4 times, drove in all of the Pirates runs, including a dramatic 18th inning homer to give them the win in Washington, 2-1. Cole Hamels threw 8 strong innings, allowing just an unearned run, walking none and giving up 4 hits to earn Texas’ 4-1 victory over the Cubs. Jacob deGrom threw a 1 hit complete game shutout masterpiece, walking 1 and striking out 7 Phillies for the 5-0 Mets final. They All Owned Baseball on July 17, 2016. 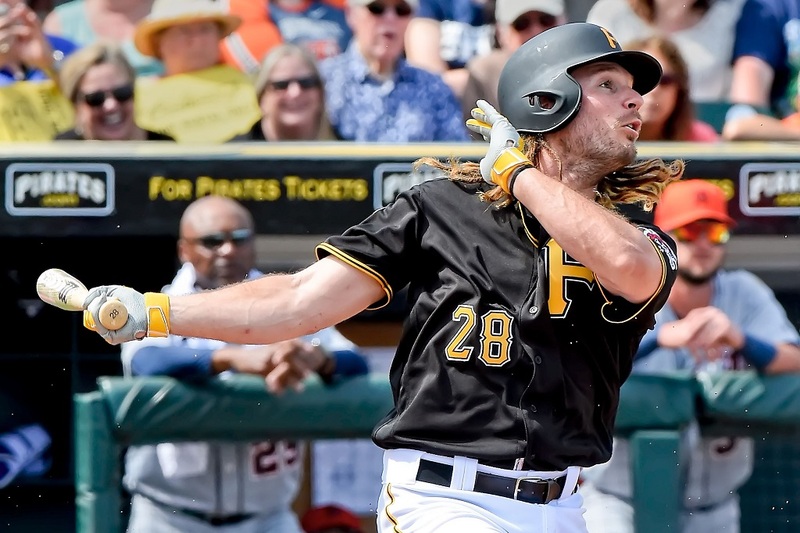 To say nothing of his more-than-capable defense at first base, John Jaso has been a revelation at the top spot in the batting order for the Pittsburgh Pirates. John Jaso has put up some solid slash lines over his career, so it should not come as much of a surprise that he currently carries a .414 on-base percentage as part of an .897 OPS. How has Jaso been able to acclimate himself so quickly and effectively to the top of the Pirates’ lineup? For Jaso, his propensity for quality plate appearances starts with the first pitch. His F-Strike percentage (percentage of plate appearances that start with a strike) clocks in at 53.3 percent. That figure represents the third-best on the club, behind Starling Marte (52.5) and Gregory Polanco (51.6). While the importance of first-pitch strikes has been debated in recent years, good things happen for Jaso on a 1-0 count. More on that later. In looking a bit deeper at what Jaso is actually seeing on the first pitch, the four-seam fastball is seen the most at 46 percent. It likely may not even matter what type of pitch Jaso sees first, as chances are it won’t be anywhere near the strike zone. His Zone % (percentage of pitches seen in the strike zone) is 47.8 percent, which is not significant on its own until coupled with his O-Swing % (percentage of pitches outside of the zone that a batter swings at). Jaso’s O-Swing percentage clocks at 16.5 percent, nearly two-thirds better than the league average of 30 percent. Incredibly, he isn’t even the best on this Pirates team in this regard. That honor belongs to David Freese and his 15.7 percent clip. Regardless, Jaso’s rate is fourth-best in the National League for anyone with 50 or more plate appearances. The foundation that Jaso lays in his plate appearances almost feels as if he dictates to pitchers how the PA will go. He absolutely refuses to chase anything out of the zone, and such an approach can force an opposing pitcher to offer something he may not necessarily want to offer on the next pitch, which usually comes at a 1-0 count. Drew Smyly allowed 1 hit over 8 innings, striking out 11 Red Sox in the process. He did not get the decision but he set up the Rays 3-0 extra inning win. Jed Lowrie hit three singles and a double, tied the game with an RBI hit and scored the go ahead run in the 11th for the A’s come from behind 3-2 victory. Stephen Strasburg struck out 10 Marlins over 8 innings of three hit shutout ball, earning the 7-0 decision for the Nationals. Neil Walker homered twice to help the Mets crush the Phillies 11-1. They all owned baseball on April 19, 2016. David Wright homered twice and sparked the Mets offense as they beat Philadelphia 5-2. Andrelton Simmons went 3 for 4 with 2 runs scored and an RBI as the Angels blanked the White Sox 7-0. John Lackey struck out 11 Cardinals while throwing 7 shutout innings and earning 5-0 decision for the Cubs. Hector Santiago threw 7 shutout two hit innings, striking out 10 for the 7-0 Angels victory over the White Sox. They all owned baseball on April 18, 2016. Brandon Guyer went 4 for 4 with 2 runs scored and an RBI to help Tampa Bay beat the White Sox, 3-2. Aaron Sanchez held Boston to 2 hits and 1 run while striking out 7 in 7 innings and earning the 5-3 decision for Toronto. Nolan Arenado provided all of the offense with a pair of solo homers as Colorado shut out the Cubs, 2-0. Tyler Chatwood threw 7 shutout innings, allowing 2 hits and 1 walks while striking out 7 Cubs and getting the 2-0 win for the Rockies. They all owned baseball on April 17, 2016. Chris Sale threw a complete game 2 hit shutout, striking out 9 Rays and walking none to earn the thrilling 1-0 decision for the White Sox. Joe Ross threw into the 8th, finishing with 7 2/3 innings, 3 hits and no runs as the red hot Nationals ran over the Phillies 9-1. Jonathan Schoop homered twice and added another hit to drive in 3 and help the Orioles pound the Rangers 11-5. Enrique Hernandez doubled and homered twice (all off of Bumgarner) and led the Dodgers to a 7-3 victory on Jackie Robinson Day. They all owned baseball on April 15, 2016. Charlie Morton pitched shutout ball into the 7th, finishing 6 2/3 innings, 3 hits and 7 strikeouts, getting the 3-0 decision for Philadelphia over San Diego. Trevor Brown continued his surprising power surge with a pair of homers and 4 RBI to lead the Giants to a 7-2 victory in Colorado. Derek Holland gave the Rangers 6 2/3 shutout innings, allowing 4 hits and striking out 4 in the 8-0 blowout in Seattle. Justin Upton went 4 for 5 with a homer, 2 RBI and 3 runs scored in the Tigers 8-2 win over Pittsburgh. They all owned baseball on April 12, 2016. Is Matt Joyce The Answer To The Pirates’ 4th Outfielder Spot? Matt Joyce had a down year in 2015, but his history as a starter in the outfield could make him the Pirates’ best fourth outfielder option come Opening Day. The final signing of the Pirates’ off-season might have happened last week when the team signed outfielder Matt Joyce to a minor league contract. The move wasn’t a major one, but it may have filled one final need the Pirates had before heading into spring training: the fourth outfielder position. He’ll be competing with Sean Rodriguez, Jason Rogers, Mike Morse, and Jake Goebbert for playing time, and to be the primary outfielder off the bench come Opening Day. Out of the available choices, is Joyce the best option the Pirates have for that role? I’d argue yes. As a fourth outfielder, a player is the first option off the bench to give either Andrew McCutchen, Starling Marte, or Gregory Polanco a day off, and would also be used as a pinch-hitter and possibly a late game defensive replacement. Joyce has by far the most major league experience in the outfield (5163.0 innings) compared to the next closest in Morse (3061.2) and Rodriguez (662.1). He also has a higher career WAR at 9.0, the next closest being Rodriguez at 7.3. He’s the only one of the group to be an All-Star may be arguably the best overall offensive player of the group (Morse has more power, but has fallen off since his career 2012 campaign).